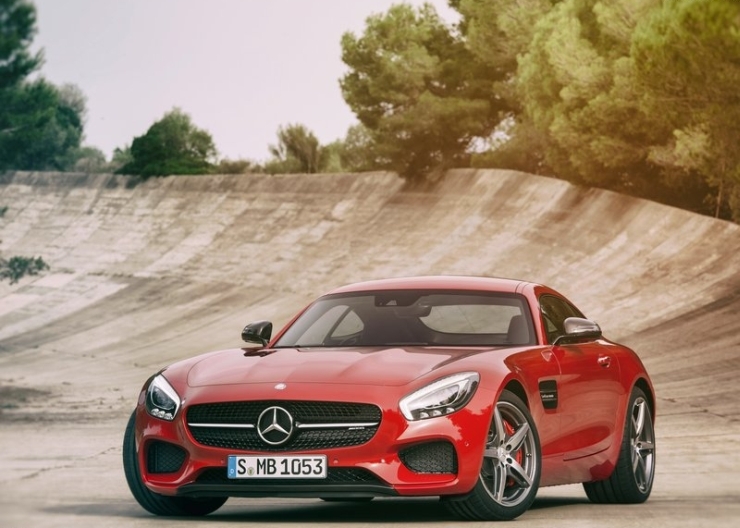 The Mercedes Benz AMG GT sportscar is all set to hit the Indian market in 2015, as the German luxury and sports car maker’s flagship offering in what is one of the fastest growing premium car markets on the globe. Internationally, the AMG GT was unveiled earlier this year. The sportscar uses a 4 liter V8 twin turbo petrol engine that is a downsized motor meant to conserve fuel and cut tail pipe emissions. The primary purpose of this engine is something different though. 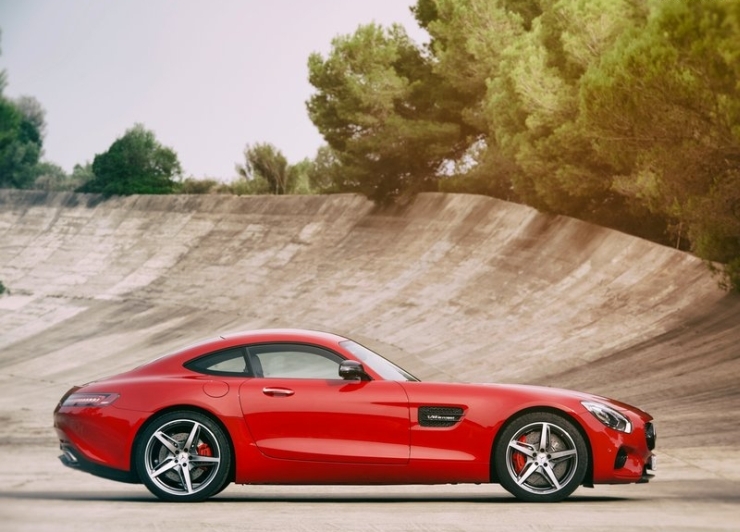 The motor is meant to deliver thrilling performance from get go and propel the AMG GT to speeds of over 300 Kph. To achieve this end, the 4 liter V8 petrol motor will churn out 462 German thoroughbred horses and a copious 600 Nm of peak torque. The mid mounted engine is paired with a 7 speed twin clutch automatic gearbox that can go manual at the touch of a button by means of paddle shifters that are positioned behind the steering wheel. Mercedes Benz even has a wilder variant of the AMG GT, with the S badge added. The AMG GT S model turns up the power and torque stakes to 510 Bhp and 620 Nm, squeezing out more from the 4 liter V8 mill. More frantic acceleration and a slightly higher top speed will be the result of the extra poke and twist. Meant to be an everyday sportscar in the vein of the Porsche 911, the Mercedes Benz AMG GT uses aluminium extensively to keep weight low. 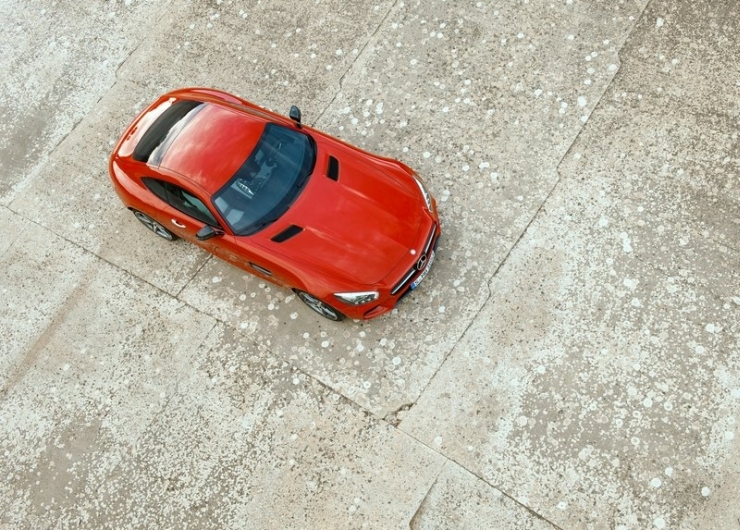 93 % of the car’s super structure is aluminium based, and this makes for a kerb weight of 1,540 kilograms. For India, Mercedes Benz will import the AMG GT as a completely built unit (CBU). The car will be sold through the AMG Performance Centers that the German marque is establishing at most of its dealerships. A price tag of about 2 crore rupees will put the Mercedes Benz AMG GT bang in supercar territory, even as well oiled after sales network provides a modicum of assurance to prospective buyers. « Honda Accord to make India comeback only in 2016?